With over 10 years of fundraising experience, we’re happy to welcome to Amy to the SNF Writing Solutions team. During her professional career as a fundraiser Amy has served as both a fundraising generalist and specialist. She has expertise in the areas of annual campaigns, employee giving, corporate giving, foundation relations, stewardship, major gifts, and capital campaigns. Moreover, she has extensive experience in both foundation and federal grants development and management, helping to build a grants office for a multi-hospital health system. In addition to this she has helped prepare comprehensive development plans for several organizations and can also help organizations figure out the right fundraising mix to fit their unique needs. She has also advised non-profits on staffing plans as well as how to evaluate their current fundraising efforts to determine their ROI. Before entering the world of non-profit work, she served in both the federal and campaign offices for former U.S. Senator Evan Bayh, and also worked in Community Development for the City of Fort Wayne. During this time she served on multiple Board of Directors for local non-profits organizations, which provides her with a unique perspective of understanding the needs of both board members and fundraising staff. 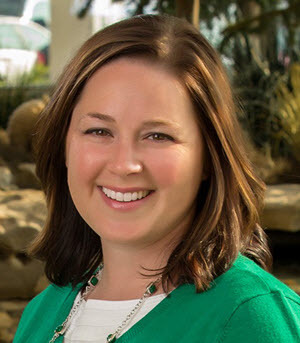 Currently, she currently serves at the VP for the Association of Fundraising Professionals (AFP) of Northeast Indiana Board of Directors, a member of the Board of Directors for the Central Indiana chapter of the Grants Professionals Association (GPA). She has conducted workshops and presentations on events management, corporate sponsorships, building a logical model, and building a grants office, including presenting at GPA’s International conference.